The Healthwatch Oldham 100 Project (HWO 100) is simple and straightforward. We would like at least 100 residents of Oldham to sign up to receive a bi-monthly short survey on health and social care services. The information we collect will be anonymous, so you can be completely open and honest, and you can opt out at any time. This survey will focus on a different issue each time and help us understand people's experiences of using a wide range of health services. Your voice can make a real difference in influencing any required changes to services and can give us an indication of areas we may need to focus our work on. 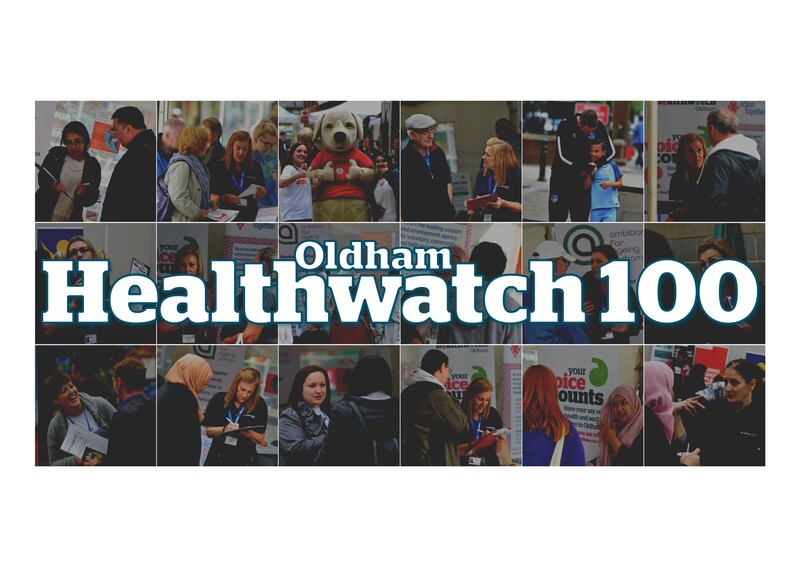 If you would like to sign up to join our Healthwatch Oldham 100 please email martyn.nolan@healthwatcholdham.co.uk and express your interest.